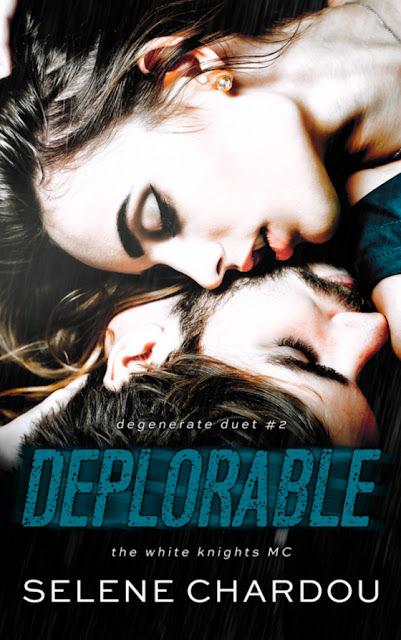 Catrin Lund-Decker has turned her back on the FBI and decided being with Jake Decker is better than anything she's ever experienced before in her life. They have their family and Jake has made their union official -- in the biker community and beyond. 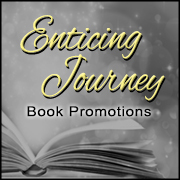 Ghosts of the past still haunt them and although they would like to spend their lives in bliss, neither Catrin nor Jake have the option. They have been branded criminals -- nefarious individuals on the run -- and there are few people who can restore their reputation and erase the taint. Will Catrin and Jake do what's right or will they decide all out war against the very institution that coddled them for far too long? Catrin knows that family is everything and Jake is now a part of that equation. She will do anything she can to protect him and their son, even if it costs her everything she's worked so hard for her whole life. They're both willing to risk everything even if they end up with nothing. It's the code and the way of life in the biker world. They are past the point of no return and never has being so bad ever felt so good. 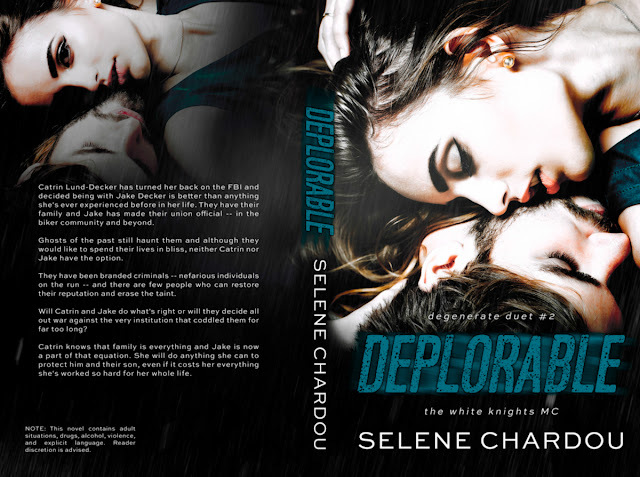 The worst rating Selene Chardou can think of a reader giving her is “Meh.” Love her novels or hate them but at least she has had the satisfaction of knowing she made a reader feel something—anything other than numb—while they were reading her books. Selene Chardou enjoys living right next door to Hell, also known as the Las Vegas Metropolitan Area, which is pretty toasty especially in the late spring, all of summer and early autumn. She has two daughters who are six and a half years apart so beside author, she also works as referee, counselor, part-time maid and taxi driver. 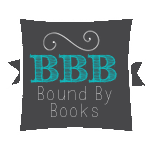 An avid reader herself, she enjoys big five published authors, hybrid authors like herself, and indie authors. She daydreams a lot about what her next book will be about, and brushes up on her very rusty French at least a few times a week.